Duchess Kate: William and Kate Dance the Night Away at Blues Festival, Cover Girl Kate, Jenny Packham Goes High Street and More! William and Kate Dance the Night Away at Blues Festival, Cover Girl Kate, Jenny Packham Goes High Street and More! Reports are suggesting William and Kate are making the most of their final days in the heavenly Mustique. The couple were seen dancing at a blue concert last night. Basil's Bar which is thought to be the only bar on the island apart from hotel bars is currently holding it's annual 'Mustique Blues Festival'. (With thanks to British Royals and Trisha) Owner Basil Charles received a wedding invitation last year so we can safely assume the couple enjoyed nights out at his legendary bar on previous holidays. The couple are taking some time out to be just that....a couple, before William is deployed to the Falklands. 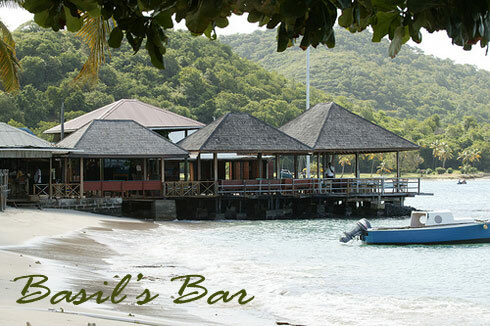 Basil's is the ideal place for them where 'The vibe transcends stature or position in life. Sailors party with business moguls, high fashion models and gardeners'. Vogue's Anna Wintour may have wanted Duchess Kate on the cover of her world magazine but it was the U.K. 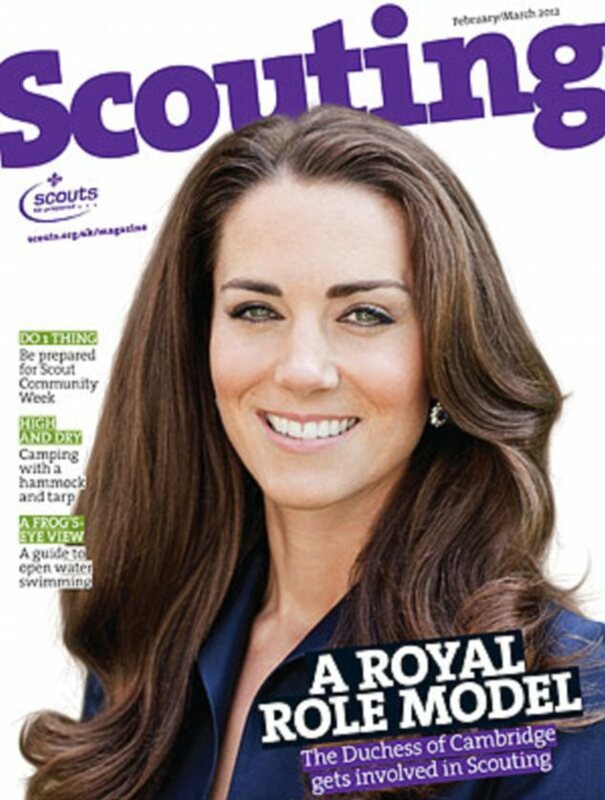 Scouting Magazine who managed to land the Duchess as their latest cover girl. It is just week since it was announced Kate would volunteer with the scouts during her free time in Anglesey. The photo is an official one, taken by Chris Getty for the Canada tour. Kate is wearing her navy vintage Amanda Wakeley suit. There is simply no doubt Kate has a huge influence on women in terms of fashion. We all want to emulate her sophisticated, elegant style. With that in mind one of Kate's favourite designers, the incredibly talented Jenny Packham has created an affordable high street line in collaboration with Debenhams. Packham follows in the footsteps of designers Roskanda Ilinic and Matthew Williamson who have all created budget friendly collection for the U.K. retailer. If Packham's most recent collection is anything to go by, we can expect feminine, ethereal, classic pieces. This is a very clever career move and I have no doubt the collection will be a sell out. Will you be considering purchasing a piece from the range? Thank you for your comments! Always so interesting to read. Jenny Packham's collection will be stunning in mu opinion! hey do you know how much duchess kate weights? and is she your favourite of all royals if not who is? and do you believe that pippa and kate are fighting? ?about everything? Oh amazing, Thanks for sharing!